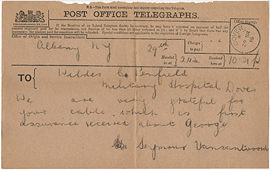 Telegram from Seymour Van Santvoord via the American Embassy to Wilder Penfield, March 29, 1916. 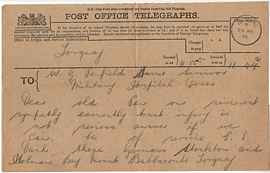 Telegram from Someone in Torquay to Wilder Penfield, March 26, 1916. 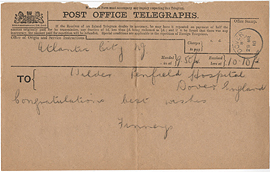 Telegram from the American Ambassador (London) to Wilder Penfield, March 26, 1916. 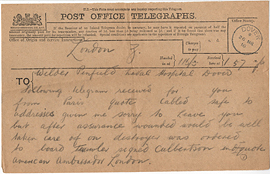 Telegram from the American Embassy (London) to Wilder Penfield, March 31, 1916. 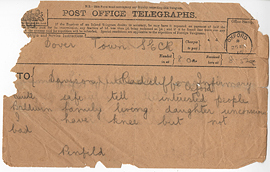 Telegram from the Finneys to Wilder Penfield, March 28, 1916. 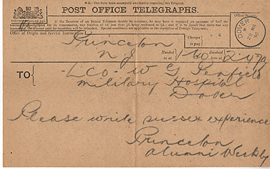 Telegram from the Princeton Alumni Weekly to Wilder Penfield, March 29, 1916. 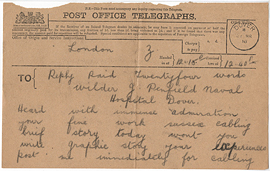 Telegram from unidentified sender to Wilder Penfield, March 27, 1916. 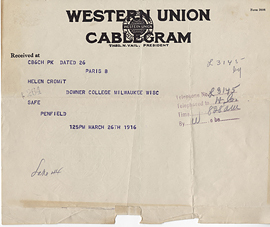 Telegram from Wilder Penfield to Helen Kermott Penfield, March 26, 1916. 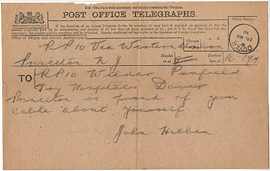 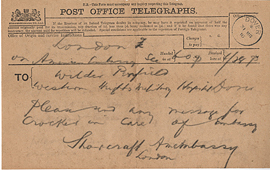 Telegram from Wilder Penfield to Helen Kermott Penfield. 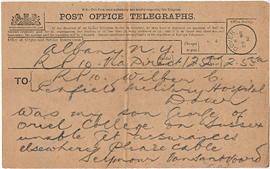 Telegram from Wilder Penfield to Wilburt Cornell Davison, March 25 1916. 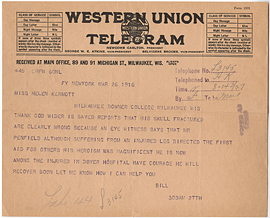 Telegram from William Chester to Helen Kermott Penfield, March 26, 1916. 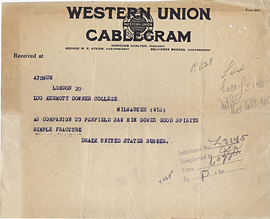 Telegram from [Sytte? 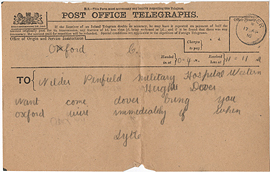 Sytle?] 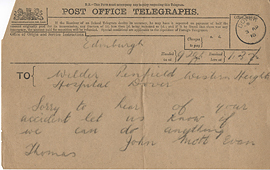 to Wilder Penfield, April 17, 1916.